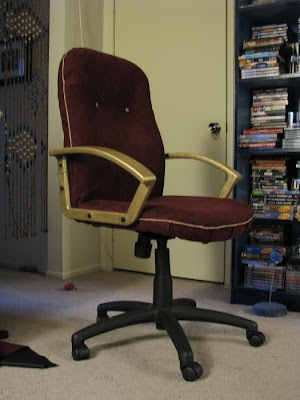 I've been meaning to recon this office chair for a while -- my cats destroyed it a while back - and I finished it just in time for this month's Craftster Challenge, In the Hot Seat. My entry is here. UPDATE: Voting is open! Vote here.